Airlines have fought against ‘throwaway ticketing’ for years. A ticket on United Airlines to Chicago might be super expensive, but connecting through Chicago to Milwaukee may be cheap. So passengers might buy a ticket to Milwaukee and just get off in Chicago and not board their final connection. Moreover if the airline ‘catches you’ especially if you do it frequently they might take away your frequent flyer miles or even ban you from the carrier going forward. That’s why it may be a good idea to credit miles to a partner frequent flyer program instead. In the past airlines were aggressive with travel agencies issuing throwaway ticekts — they would issue debit memos (charging the fare the airline believes they lost) and agencies would risk the ability to sell tickets on the airline in the future. It was rare though for an airline to go after an individual passenger. This past fall though we learned that United Airlines was threatening passengers with sending them to collections for the fare the carrier believes that they lost. They’re threatening to trash their customers’ credit report with a dubious debt, since the passenger never agreed to pay a different fare in the first place. Lufthansa is apparently tightening the fight against so-called no-show passengers. Passengers who forfeit parts of their booked flight must pay a higher rate. This is to prevent the fare system of the airline being circumvented with cheaper foreign offers. Lufthansa now wants to enforce additional payments on passengers who only forfeit their last flight. In this case, the airline can not exert pressure by denying boarding. But last year, she filed a lawsuit against a customer in the aftermath. “To my knowledge, this is the only case in which Lufthansa has sued for a subsequent payment,” says lawyer Matthias Böse to airliners.de. He defended the defendant in the lawsuit with the airline. 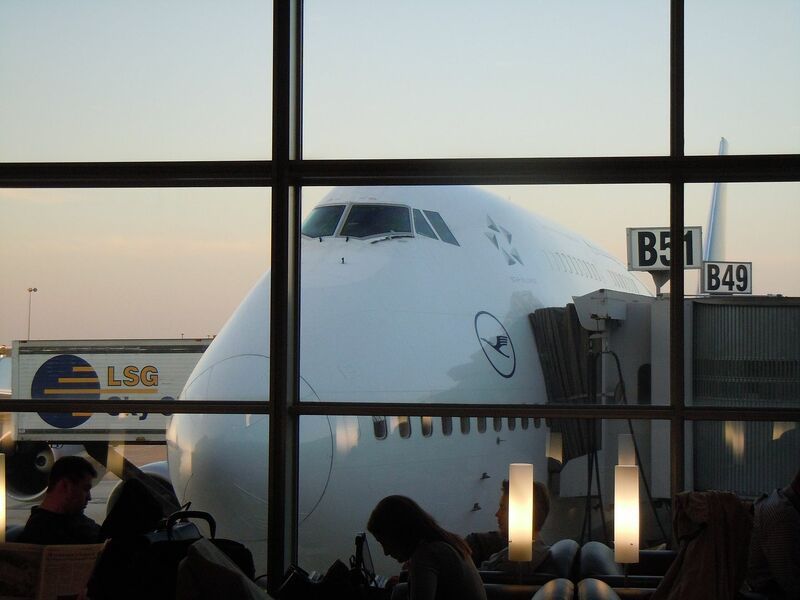 First, Lufthansa received a rebuff: The lawsuit against the passenger was dismissed in December by the district court Berlin-Mitte ( Az 6 C 65/18 ). However, the airline remains persistent: It has appealed against the verdict, as a spokesman on request from airliners.de announced. Further things will not be said because of the ongoing procedure. This seems like a risky strategy for Lufthansa, since Spain’s Supreme Court recently ruled that throwaway ticketing was fine. They might be better off maintaining the policy, and the threat of a suit, without actually suing since they roll the dice they may lose. Of course this isn’t the first time Lufthansa has sued a customer, they went after a man who bought refundable tickets just to use their lounges and hit him with a 2000 euro bill. maybe they should rationalize their ticket pricing, or not worry about it. Why AOC and socialism is on the rise? Because of capitalist businesses working hard to charge people for services they didn’t use. The reason LH will persist with this in German courts is because if the case is ever ruled in favor of LH it will set a legal precedent for all future cases to be ruled in favor of the German airline. They could spend more on filing lawsuits than they would recover from people who engage in throwaway or hidden city ticketing. @Jason-AOC’s solution is to simply get rid of airplanes in 10 years. Who would have thought Germans would be hard-nosed about something! Gary, presumably can’t you call the airline after you’ve finished all the flights you want and tell them you are sick, etc. can’t travel? that sounds like a desperate move on airline’s behalf and how sleazy and lo will go just for a buck. One sec here… I believe that a major airline in The EU just lost it’s case and this set precidence that someone COULD drop a leg (including, specifically the first leg). Not sure which airline but it could have been IB. I love how airlines play games with ticket prices, like having different prices for different countries on the same flight, but then get all offended when customers play games with them. I suspect that this practice in not widespread enough for the airlines to bother too much. In the LH matter, the airline needs a win in a higher court to avoid establishing a precedent others can rely upon in the future. More importantly, don’t buy a round trip ticket. I’m pretty certain that if you “miss” the 1st leg of the return trip the airline reservation system will cancel the 2nd leg. Has any reader been dumb enough to try this? I sure thought about doing this with AA’s web only special from Barcelona or Madrid to LAX or MIA, as all flights had a layover at an airport that would be closer to where I need to be. In the end, I didn’t do it, was afraid of losing my AA miles somehow. As long as one uses prudence when purchasing a point beyond or throwaway ticket there should be no issues. Dont put your FF number on a creative ticket, keep your address in a jurisdiction where the airline will not bring litigation. Common sense. As to Germany there are law firms especially regarding streaming videos that specialize in nuisance suits such as this. If LH prevails that is the more serious issue going forward. So United Airlines just outright does not care about their public image anymore? I fail to see how this ever ends with them looking good. I can understand their going after travel agents who do this in bulk for all their customers, but going after an individual? I never understood why the airline cares if customers do this. Sure, the airline could have effectively sold that seat to someone else. But the airline was dumb enough to price the ticket that way, and they benefit from using less fuel with less weight from no-shows, and they probably benefit from a faster ontime departure. So from a business perspective, doesn’t the airline still win? If they don’t like the practice then price their tickets uncompetitively and no one will connect at their hubs anymore…or stop crying about missing out on marginally “lost” revenue. Maybe people would pay more to connect if you ran your airlines like the wonderful Asian carriers do. What’s next? Is McDonald’s going to sue me if I don’t eat the fries that came with my Happy Meal? Thanks, I won’t need a reminder to book anybody except Lufthansa. Who needs them anyway?